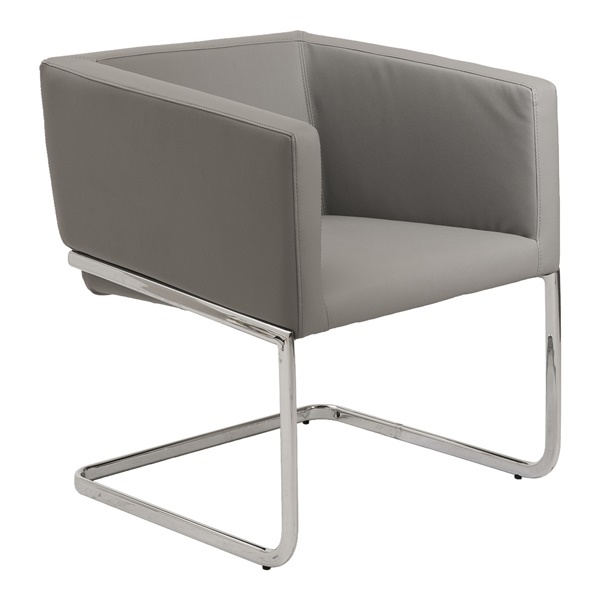 Lounge in comfort and sleek, minimalist style with the distinctive Ari Lounge Chair by Eurostyle. This modern lounge chair features a clean and elegant, contemporary design that includes cube-inspired seating with a chrome frame that's sleek and streamlined yet sturdy and durable. The seating is lightly padded with foam and upholstered in soft, easy-to-clean leatherette for luxurious comfort. The Ari Lounge Chair is available in your choice of color, any of which will blend harmoniously with any modern setting.